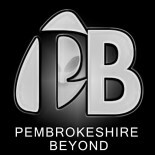 Welcome to the ever growing collection of Ghost pictures in the Pembrokeshire Beyond archive. Some of these pictures may very well be hoaxes, some unexplained and some even real. Peruse these incredible photographs of the unknown and decide for yourself and we do hope afterwards that you do sleep well….